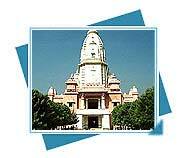 We provide history of Varanasi with complete information about the birth of the city and its appearance. 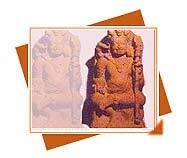 The history of Varanasi is extremely scrambled with the stories of Lord Shiva. 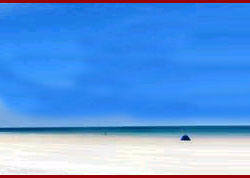 The word Varanasi is derived two rivers, the Varuna flow in the North of the city and the Assi Rivers. Varanasi history stands with it many spiritual details and facts that make it rather more attractive for travelers and tourists from all over the world. Varanasi/Banaras is one of the most important pilgrimage in India and also a major tourist attraction. Located on the banks of the holy Ganges, Varanasi/Banaras has been a center of education and civilization for over 2000 years. Varanasi has also been known as Kashi and Benares, but its present name is restitution of an ancient name sense the city between two rivers the Varuna and Asi. Varanasi/Banaras is said to be the most holy city in Hinduism. It is the site of the holy place of Lord Kashi Vishwanath, one of the twelve revered Jyotirlingas of the Lord Shiva. Kashi Vishwanath Temple, which in its current shape was built in 1780 by Maharani Ahilyabai Holkar of Indore, is located on the banks of the Ganges. The land of Varanasi/Banaras has been the critical pilgrimage spot for Hindus for time. Varanasi/Banaras has also been a great center of education for times. Varanasi is associated with the encouragement of spiritualism, mysticism, Sanskrit, yoga and Hindi language and advantaged authors such as the ever-famous novelist Prem Chand and Tulsi Das, the famous saint poet who wrote Ram Charit Manas. Varanasi or Banaras is one of the oldest cities of India. This city has found place in the Buddhist scriptures as well the epic of Mahabharata. In Pali language Varanasi was called Banarasi hence it got the name 'Banaras'. Varanasi is also called 'Kashi' or the city of spiritual light. Kashi is the place where Shiva and Parvati stood when the "time started ticking". 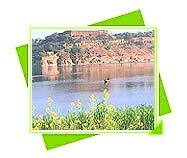 This ancient city of India is located on holiest river of India--Ganga. This relation is unique and has attracted thousands of pilgrims. 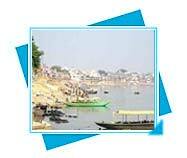 One theory also goes that Varanasi is located on the land between the river Varuna and Assi hence the name Varanasi. The Varanasi city has much history. It is more than 6 centuries older than the time of Christ. The Archaeological Museum at Varanasi concentrates on exhumed discoveries alike to sculpture, architectural fragments and old coins. In this ancient city of pilgrimage, the bathing ghats are main attraction. People flock here in large numbers every day to take bath and worship in the temples built beside the river bank. The Vishwanath temple, or Golden Temple, is the most sacred temple in Varanasi and is dedicated to Vishveswara-Shiva as lord of the universe. Chunar's claim to fame is that all the Ashoka's inscriptions and pillars scattered throughout India were made of sandstone quarried from this place.